Get the ultimate in bespoking with a matching set! 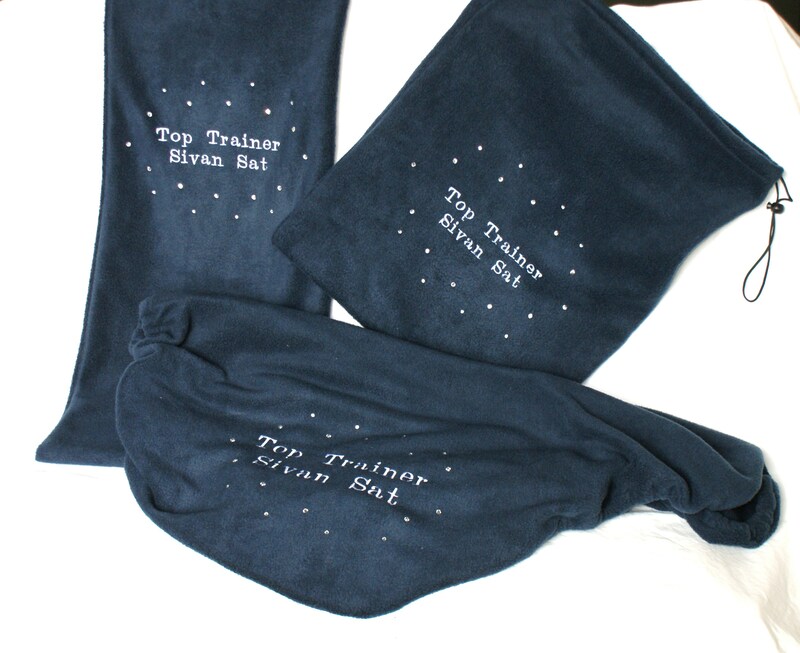 The majority of our products can be personalised with embroidery (and sparkles if you want) and you can also choose a colour scheme that suits your (or your horse's) personality, or your existing equipment or branding. 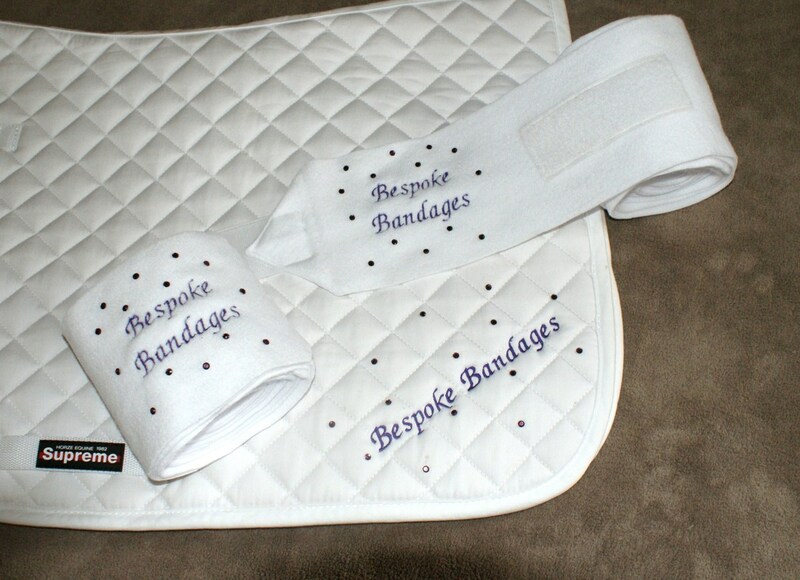 Popular sets include bandages and saddle pads, or headbands, snoods and wrist warmers. But, of course, we are happy to help you create your own matching set from any of our products. Take a look through our image gallery below, follow us on Instagram or browse our Facebook photos for inspiration. As with all of our products, if you can't see what you're looking for please contact us. We can sometimes source particular colours or patterns that we don't already have in stock. See more images including our latest made-to-order creations in our Facebook photos or on Instagram.